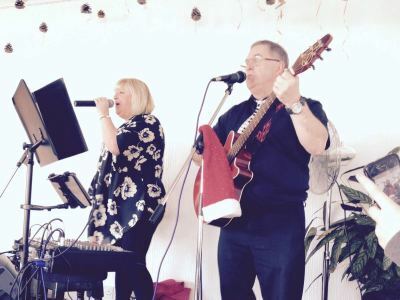 Mark on guitar, accompanied by his lovely wife Paula form the entertaining duo Short ‘n’ Sweet, playing a great selection of favourites from the 50s, 60s, 70s, 80s and 90s, as well as up to date modern chart hits, catering for all. 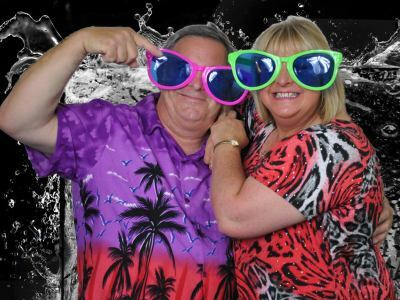 Mark and Paula have been in the entertainment business for many years, both successfully in their own right and together as a double act for the past twenty years. Paula is a professional soubrette and has performed in many venues around the world and is also a fully qualified dance teacher who runs her own dance school ‘PJ’s Theatre School’ on the Isle of Wight. The school has been established for thirty one years now. Mark is a multi-skilled musician and sound/lighting technician who has performed on cruise ships and venues around Europe, backing cabaret and headlining at holiday centres. Short ‘n’ Sweet are one of the most professional duos in the south of England and were even offered a place at Boot Camp on the X Factor in 2004. 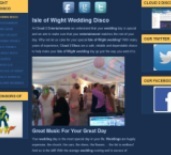 Cloud 2 Entertainments are delighted to have them on board and to be able to offer you this great live duo, either as the perfect accompaniment to your Isle of Wight party DJ or as a stand alone act for the evening.